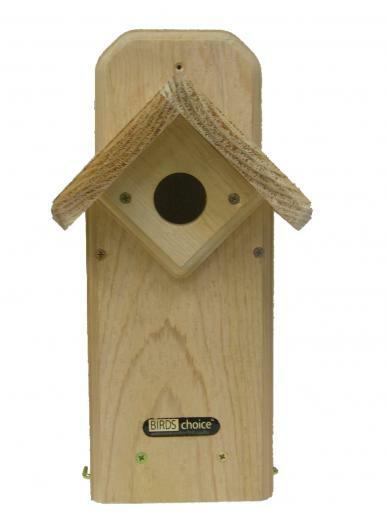 We carry a variety of nest boxes for all different types of birds. Eastern Bluebird, Chickadee, Wren, woodpeckers, Wood Duck, Screech Owl, and Purple Martins. This bluebird box is our favorite and a go to for most bluebird box applications. Simple, quality construction with a downward folding front door make it super easy to clean and monitor. ATZ also makes Chickadee, Carolina Wren, Woodpecker, Screech Owl, and Wood Duck boxes. Offers many bluebird nesting box options including the ultimate bluebird box (pictured on left) which has a cleaning door on one side and a viewing window on the other. A great box for those of you who like to monitor the nest. Produces great nesting boxes and has a wide range from basic to decorative. They also supply us with smaller boxes with a 1.25” hole that would be well suited for smaller birds such as Carolina Chickadee and Carolina Wren. Heartwood boxes are hand built in Star Mississippi using rot resistant Cyprus. Family owned and operated this company produces unique and functional products that are really eye catching. These quality constructed houses make great gifts and and birds love them, too. Heartwood also makes bee keeping supplies for all you bee keepers. We are happy to special order. We typically carry these two styles of martin house made by Nature House. Both styles include the pole and pulley system and all the necessary hardware to set up and install your Purple Martin house. As always we are always happy to special order if there is something you are looking for that we do not stock.